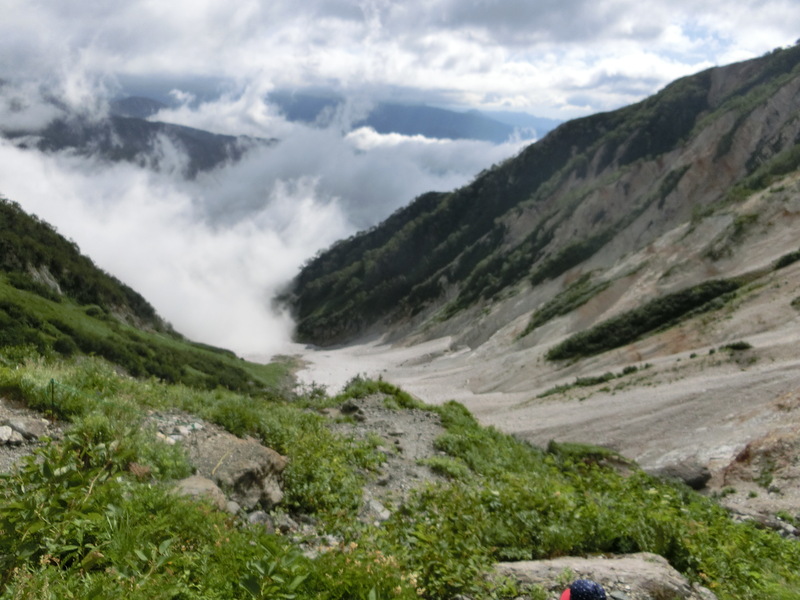 There is lots to explore in Hakuba. 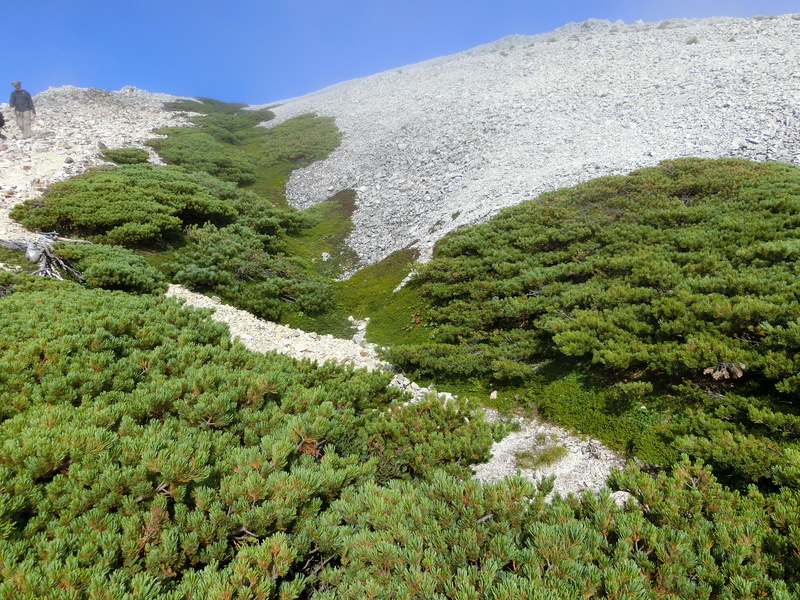 The stand out spot when you are in the valley is obviously the tallest peak of Shirouma Dake or to translate that, Mt. Hakuba or again White Horse mountain. 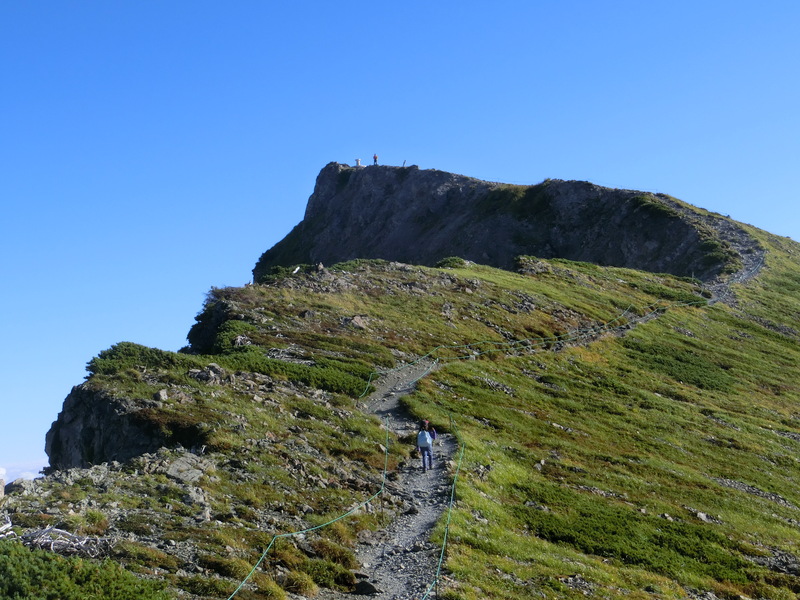 I had climbed it previously from the Daisekkei ice field but this time we were taking an alternative route via Tsugaike and staying the night in the lodge. Studying the weather and assessing all the models we decided upon the weekend of the 3/4 September 2017. It looked to be a sunny and relatively low wind weekend. True to Hakuba’s form of micro climate we found ourselves locked into some low cloud however there were plenty of times it cleared enough to get the camera out. We started off at the Tsugaike gondola and then a 300 meter walk to the ropeway. That takes us up to the starting point. (turn right just before the Park Entrance Hut). 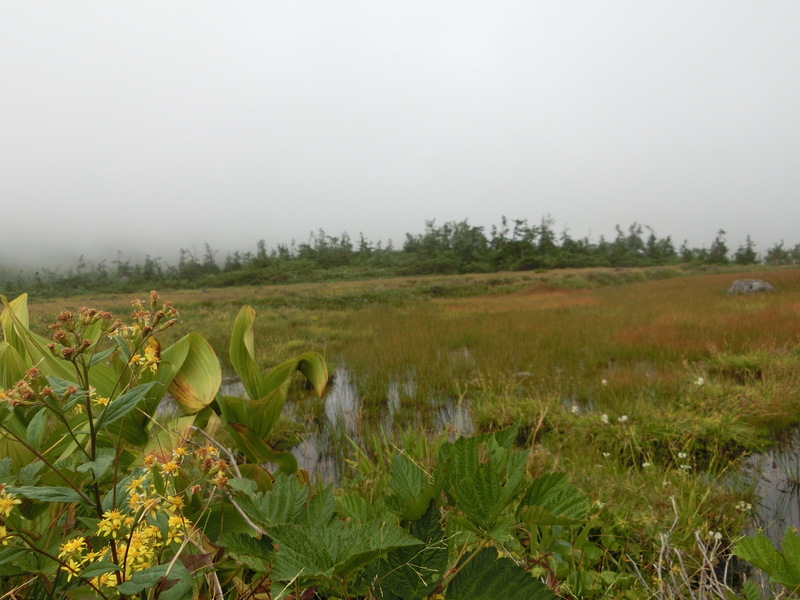 It is a pleasant start through high sassa grass forests up to the swampy flats of Tengu para. 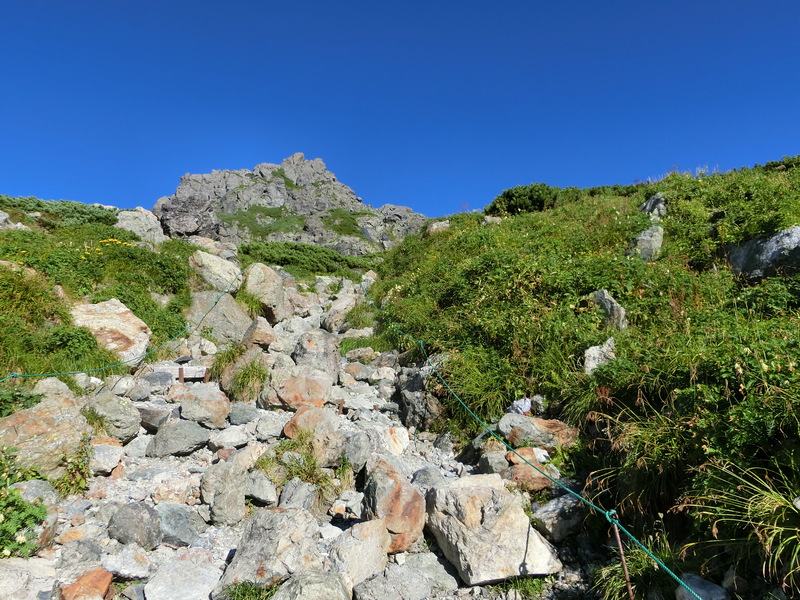 The next part of the climb up to Norikura Dake involves a bit of bouldering. You’ll likely see some snow up here with a small 50 meter traverse which may be icy. They do have a rope to assist you. 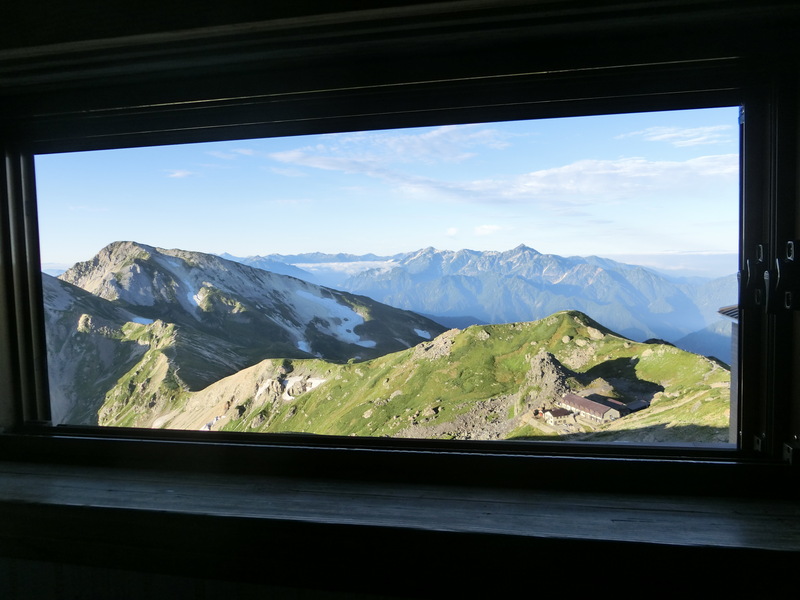 At the top of Norikura you will have a chance to see some raicho birds. You may see there head pop up occasionally. It is difficult at this time of year to get a good photo but you may be lucky. From here it is a bit of rock hopping down to Hakuba Oike (pond). As we strolled into the basin we were able to get a great view of the pond before we were socked in with a think cloud. There is a lodge at the pond for a toilet break and a bite to eat. We brought our own food so we sat down outside and had some lunch here. It took us close to 3 hours to get to this point. 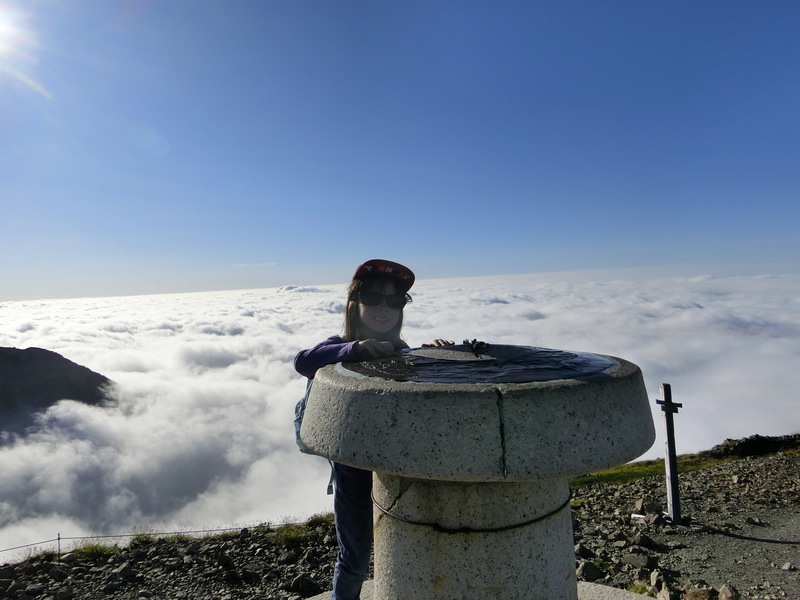 Getting on top of the clouds. It was so nice to feel the sun. Continuing on just down about 15 minutes from the peak is the lodge. This place sleeps 800+ people but on a busy weekend during peak season they will never turn any one away so be prepared for minimal space. We chose a quiet weekend just out of peak so we were able to get a private room. Nothing fancy here other than a warm futon for the night which after a big hike is all you need (maybe a pillow and a pair of ear plugs too if you are a light sleeper). The restaurant is beautifully built and offers amazing sunset views out of the cold. Sitting up so high in the mountains in a nice comfortable restaurant and being able to order a beer and some warm food makes this a dream hiking destination. The lodge offers a basic dinner and breakfast deal with accommodation as an extra or you can purchase dinner separately at the restaurant which is what we did. 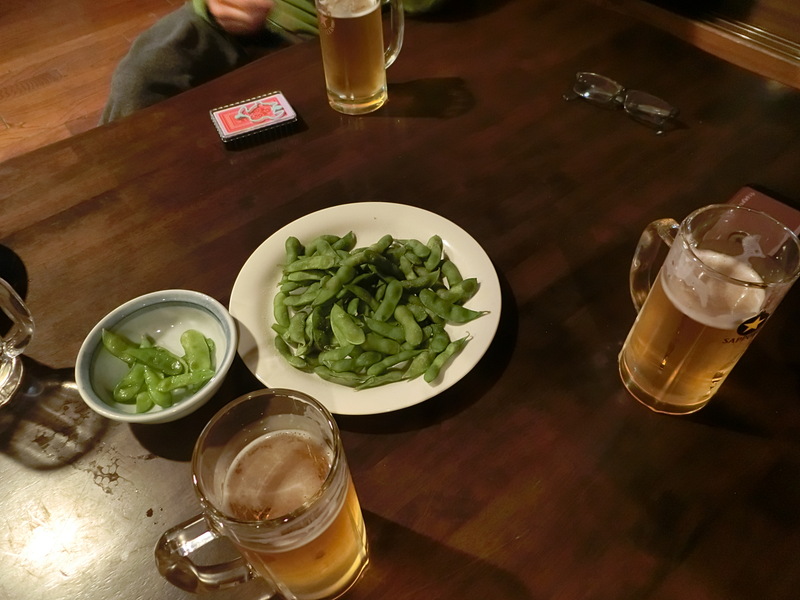 Sitting back on the top of the mountains with beer and edamame. Life is good. After a big hike and a few beers and a feed it was time to catch some zzzzs. We were woken up abruptly for the first breakfast call at around 5 o’clock. Seems people are really keen to get moving early. A perfect clear morning gives us the views we were dreaming of. The view from my bedroom window in the morning. That’s a great way to get you moving. 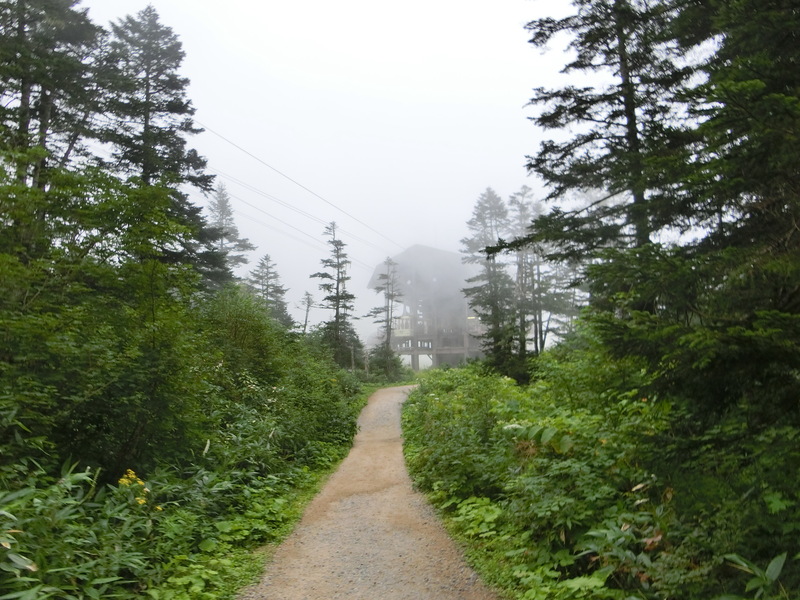 There are a couple of different routes from this point with more lodges along the way if you want to stay more nights. 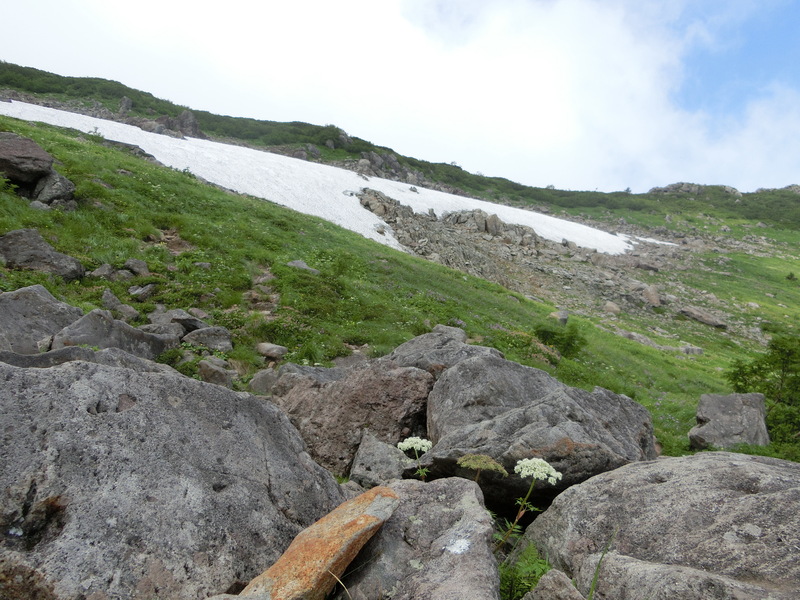 We have chose to make our way down and back to Hakuba via the Daisekkei ice field down to Sarukura. 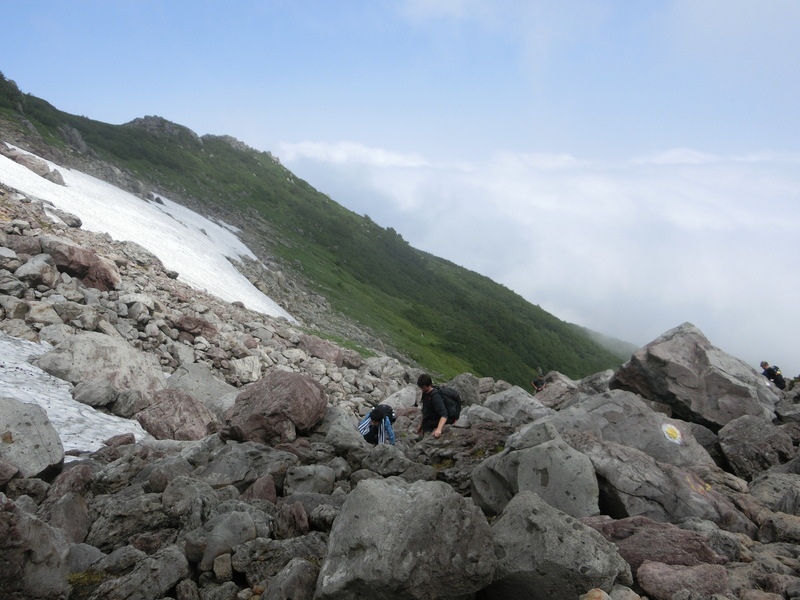 Before you leave be sure to hire some crampons for the ice down lower (700 yen) The hike is a steep decline and walking poles are recommended. Lots of twists and turns and every step takes concentration. Don’t forget to stop and look back at the magnificent rugged mountain scenery. Even though it is all down hill, it is a bit of a challenge. As we were making our way down on a perfect clear morning we could see below a thick cloud charge up the valley and just stop right over the ice. It was another natural change that just added to the trip. It will take a bit over hour to reach the icefield. 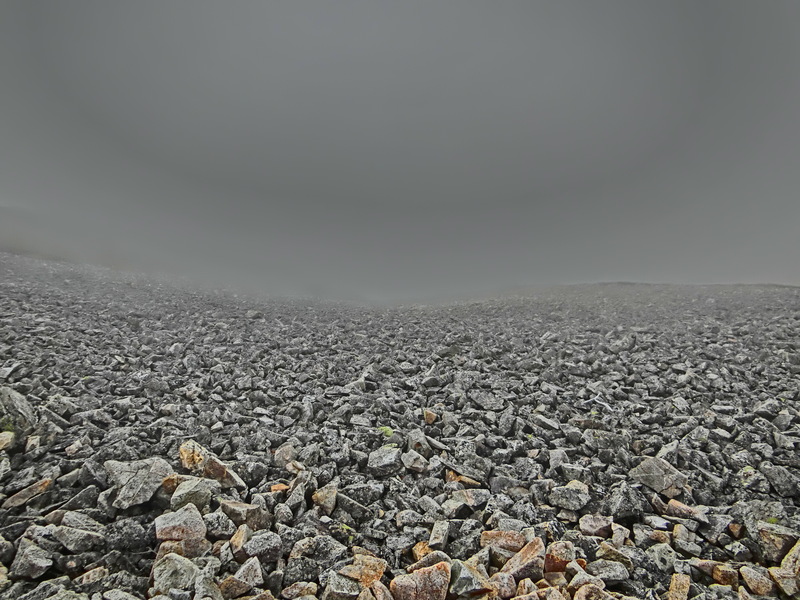 The trail carers assess the icefield regularly to make sure the routes are safe however you will see one of the major threats is being hit by rocks that have been naturally released and sent down the steep mountain sides. There are numerous boulders scattered around so stay aware. You will hear the smaller rockfalls too as you make your way down. It is not really a marked trail here for most of the way however you can basically pick where everyone else has been walking. They may put some coloured markings down or a rope in some areas to show where to go. Once you are off the ice there is a little bit of scrambling but mostly steps down to the next hut where you can relax and buy a drink. 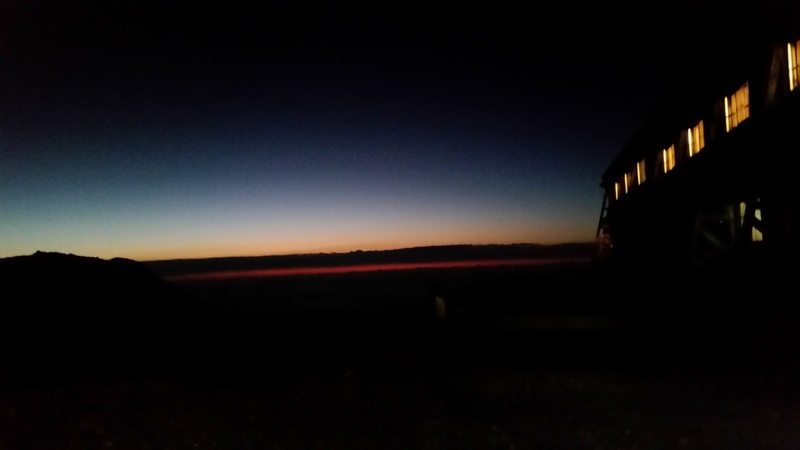 The next 45+ minutes is an easy hike back to the Sarukura hut where you can hand in your crampons and get a snack. They have buses running from here to the village at some times during the year. Either that or arrange a pick up with your hotel or you can ask them to call you a taxi. The start of the icefied just below. A couple of highlights for me. I hiked with my 7 year old daughter. This was an amazing bonding experience that I will always remember. I knew she was capable physically however there is the mental aspect of a long climb. She passed with flying colours. This is not a climb for every kid. Once you get up past the lake it is just as difficult to go back as it is to go forward and that would be hard to explain to a child who is in melt down. Keep them going with plenty of positive reinforcement but ensure to do some smaller hikes prior to tackling something like this (and take plenty of snacks 🙂 . 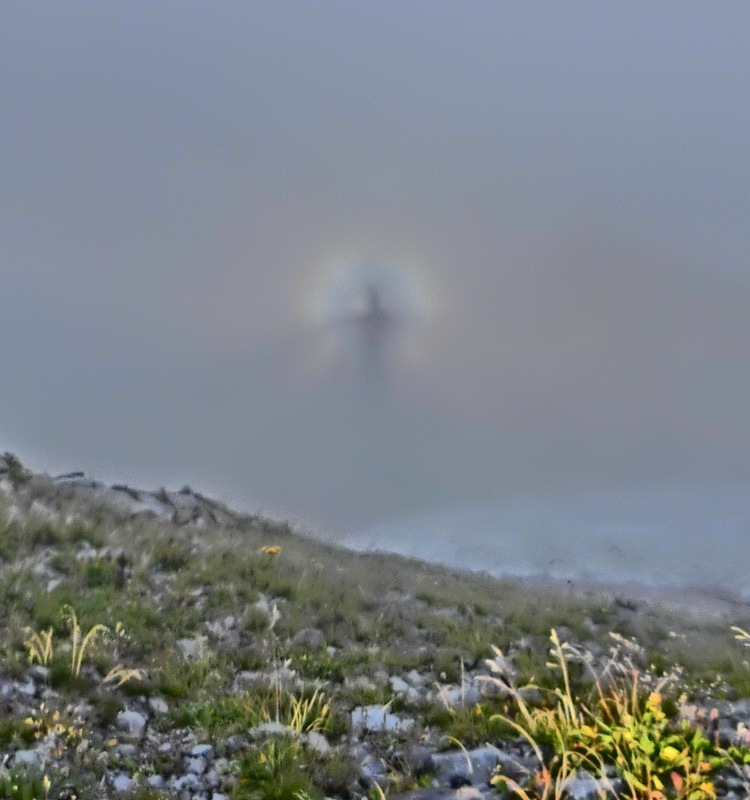 The other thing for me was producing my first Brocken Spectre which is a rainbow halo created from the sun behind you and reflecting your shadow on the clouds below. It gives a stunning effect and something I have always wanted to see. Brocken Spectre. That’s my shadow with a rainbow. Temperatures can get down to zero even in the summer time so be prepared. Leave early and give yourself plenty of time to get to your destination. 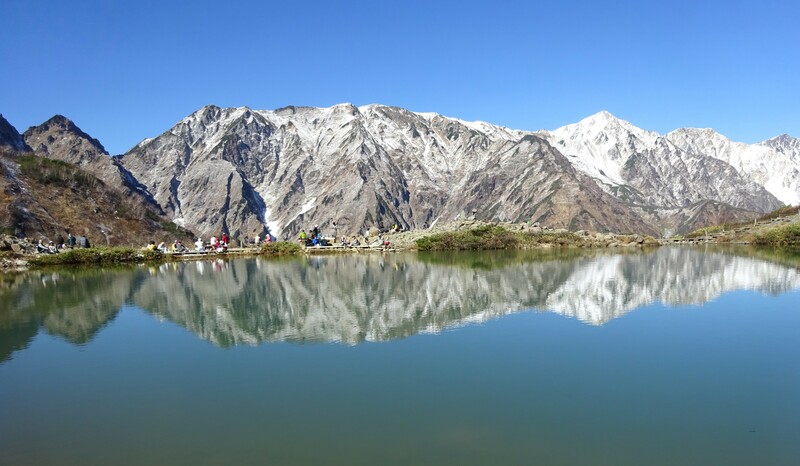 Hakuba’s main attraction during the warmer months is the hiking and the most popular day hike would be Happo Ike ( Happo Pond). 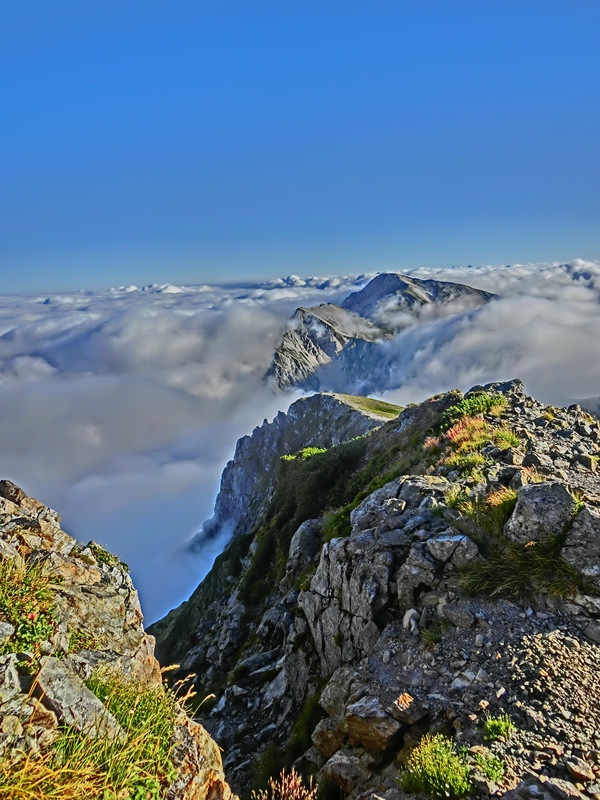 Each day hundreds of people of all ages ascend up into the mountains to this spectacular viewing platform. I would rate it on a world scale at “as good as it gets”. 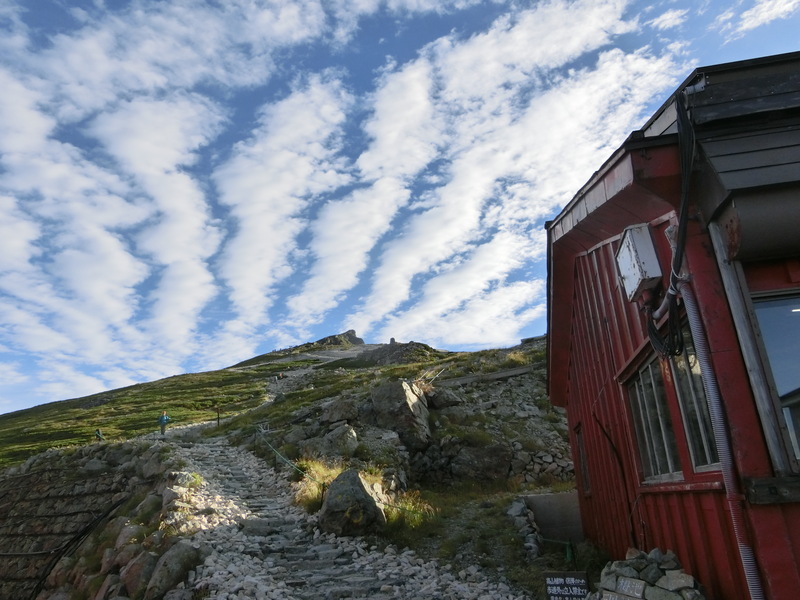 The journey starts with a Gondola ride and then 2 chairlifts that are lowered after the winter which brings you closer to the natural foliage. The top of the resort by itself has some amazing views for those not up to the hiking and is certainly worth the trip. For the more adventurous the 45 minute hike along some rocky pathways and boardwalk steps will offer up some breathtaking vistas along the way. The route follows the ridgeline so there are many vantage spots for photos and even the most novice of photographers will be taking professional shots here. The rocky step sections along the way can be a little difficult to manoeuvre so take your time on the hike and absorb the environment. 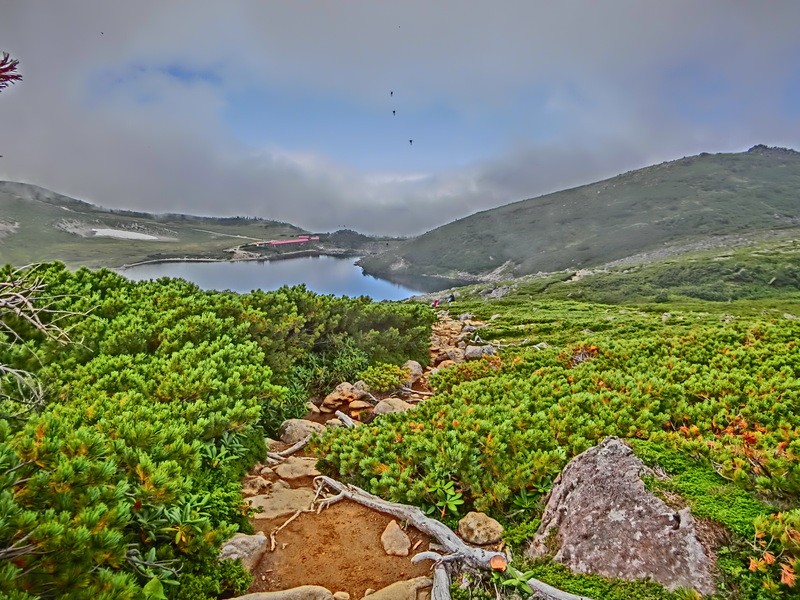 Once you reach the pond the views will amaze you with the stunning back drop of 3000 meter peaks. This is truly a special place. 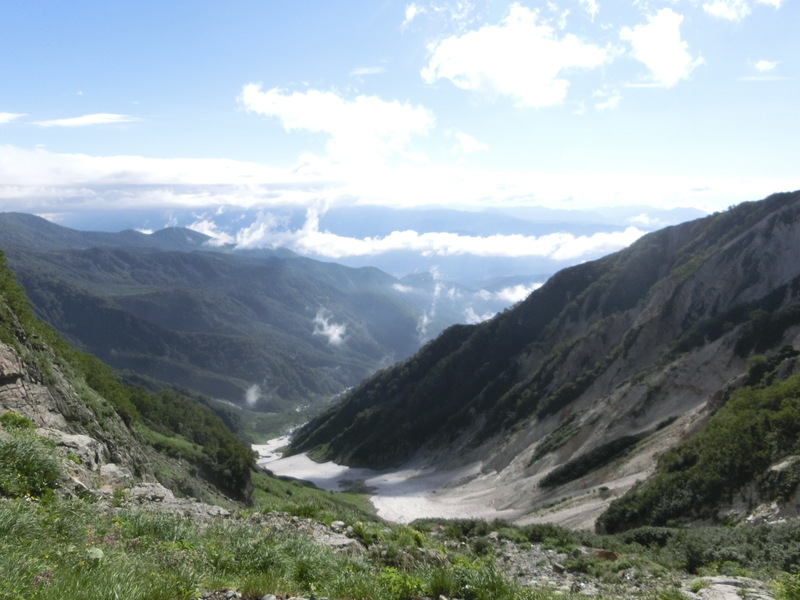 The Hakuba Valley is a spectacular mountain region located just 1 hour from Nagano City. 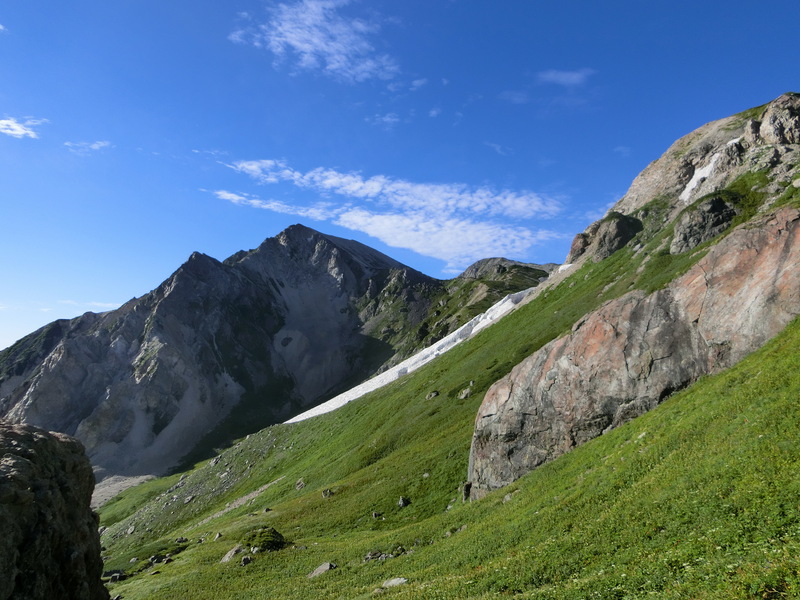 Famous throughout Japan for the number one ski resort of Happo One which was the showpiece for the 98 Winter Olympics, Hakuba also shines during the warmer months with an abundance of natural beauty. Sitting at 700 meters above sea level the mountain range towers the village at 3000 meters. There are spectacular views from many vantage points throughout the valley. Pure mountain air, fresh water from our rivers, food from our farms and a huge range of activities await those who want to get away from the summer heat of the big cities. 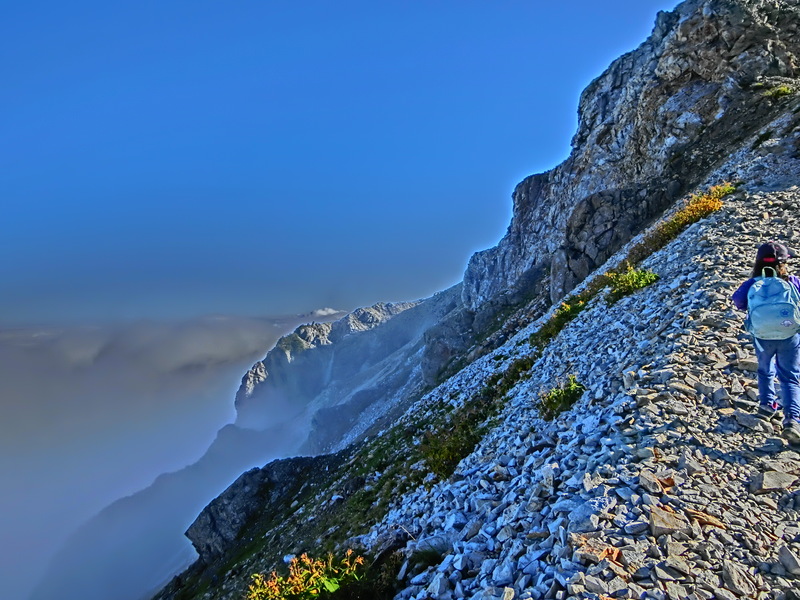 The hiking is world class with absolutely stunning scenery. Other activities include paragliding, mountain biking, fishing for Shinshu Salmon, canoeing, and canyoning. Nature gives us a wild flower extravaganza that combines with a vast array of animal, bird and insect life. Kamoshika is common to see as are kiji pheasant. An early evening firefly canoe trip on Aokiko will certainly surprise your nocturnal senses. Eating out in Hakuba at anytime of the year is a gourmets delight with so many outstanding restaurants and something for everyone’s taste. Come and enjoy Hakuba and everything it offers. True Players opened in 2012 and has been a great addition to Hakuba, offering another alternative to the many ski slopes on offer and is also open all year round. The park is learner friendly and is open daily from 9am – 11pm. Each session will cost just Y500 (please note there aren’t any boards for rent so bring your own). The park consists of a 12ft vert ramp, 3 mini ramps (7ft, 4ft, 1ft) with a spine transfer in-between, street style banks, ledges and rails. 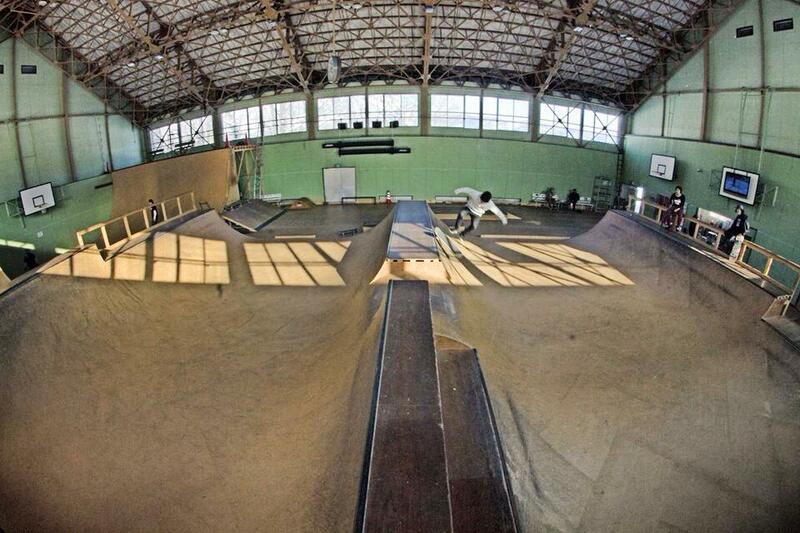 Another cool feature on the small mini ramp is a rope attached to the roof for skaters to hold while learning new tricks. True Players is located in the Happo area, just off the Olympic road near the Mimizuku Onsen (ask any local and they should be able to direct you). LaLa Matsumoto is a great place to spend a lazy rainy day any time of the year. I decided to go on a long weekend which I knew would add to the experience. Generally I don’t particularly enjoy crowds however sometimes I find that by throwing a couple of thousand people into a confined area will create a lot of funny moments. Just add water. A tip here is to buy a floating ring to get the full Japanese pool time effect. Just to make things easier for you there are compressors at the entrance to inflate them. Size limit on your floating device is 105cm. I liked the “Lazy River” pool which takes you around the whole pool area on a current. The slides are fun but will obviously have a big line on the busy days. They crank up the swell every hour or so in the wave pool which pulls in the crowds. This is where it gets a little crazy with so many people bouncing off each other, lots of laughing and kids screaming. Lala is located on the northern side of Matsumoto. The Nagano train station has recently installed some large lockers so you can now store your skis and snowboard bags securely whilst you go and explore the city center before heading out to Hakuba or one of the many other ski resorts. The lockers are located on the upper concourse just opposite and left as you come out of the shinkansen (bullet train) ticket check. There are also some smaller lockers at the bottom of the stairs on the street level of the west (Zenkoji) exit. The largest ones cost 600 yen for the day. 6 x 100 yen coins. Nagano Station's new layout with coin lockers highlighted red. Nagano’s locker situation has changed since the station had its full face lift. You can now find coin lockers in two areas of the station, one on the second and another on the first floor. They’re all decorated with Nagano-inspired characters like Arukuma and anthropomorphic vegetables, so they’re hard to miss. Read below for more information! On the second floor near the Shinkansen ticket gate and Newsday convenience store. *The price for small lockers will increase to 400 yen beginning April 1st, 2016. On the first floor of Nagano station between it and the Hotel Metropolitan. Heading towards Zenkoji, take the escalator downstairs. Come to Hakuba to enjoy a great selection of international wines and join the seminar to improve your knowledge. 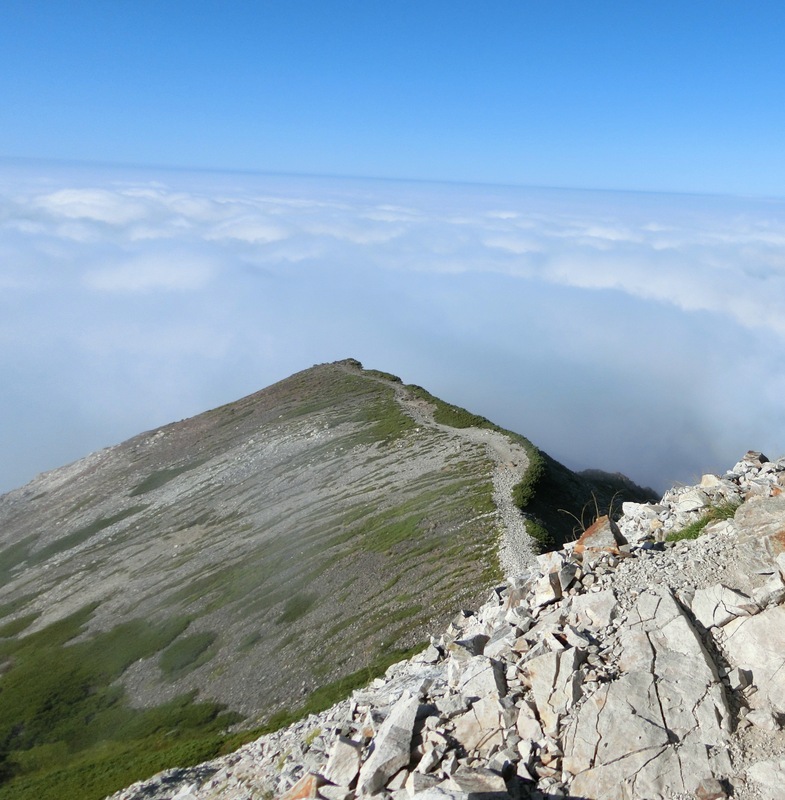 Cortina is one of the Jewels in Hakuba’s crown. Situated at the northern end of Hakuba, in the Japanese Alps, the ski resort of Cortina links up with another resort called Norikura on the southern side. It takes about 25 minutes from the center village area of Hakuba to reach the resort Cortina is renowned for it’s powder and is in fact listed as one of Japans top snow fall resorts. The micro climate of the area tends to draw more snow into the resort so a small amount down the valley could be a lot more up that end. Cortina is a great place for a day trip when the powder is deep. Other days you might want to be on one of the big mountain resorts that have a bit more variety like Happo One. The tree skiing at Cortina though is some of the best you will find in Hakuba and at the end of the day take in a soothing onsen before moving back into the town center to enjoy the restaurants and nightlife of Echoland. Hakuba has a lot of natural beauty however it does not have any Geisha girls living in the village. Today I took a drive to Togura Kamiyamada Onsen about 80 minutes away via Nagano. I was invited to the Kamesei Ryokan to sample their Kaiseki lunch where they have some local Geisha girls performing traditional dance, song and play the shamisen. A great afternoon and definately worth checking out if you have a day off from your busy skiing schedule in Hakuba. The area is a traditional onsen town and the Kamesei Ryokan has a beautiful soft water onsen bath to relax in before you sit down to your lunch.